This is a die-cut Reo Sales and Service porcelain sign. 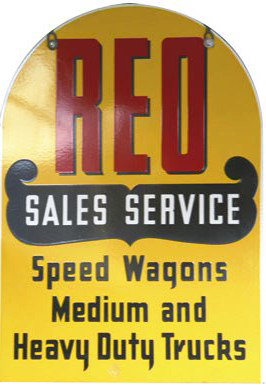 This particular Reo Sales and Service sign is yellow with red and blue print. It reads, “Reo Sales Service, Speed Wagons, Medium and Heavy Duty Trucks” and features a blue banner in the center.